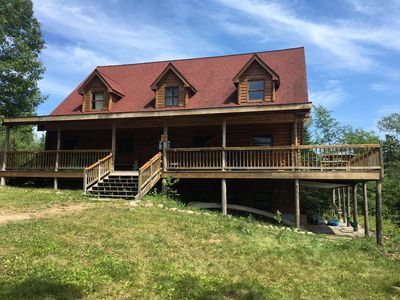 Enjoy a Summer Family Get-A-Way at this Cabin!! 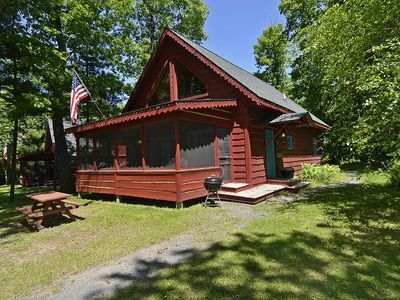 Enjoy a Family Summer Get-A-Way at this 4 bedroom, two bathroom, two kitchen cabin!! 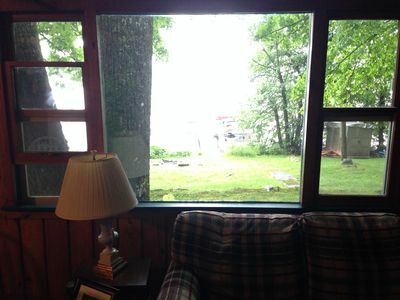 A Northern Wisconsin family vacation destination. 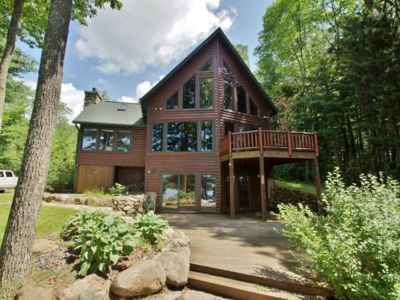 This adorable cozy cabin is located on Nelson Lake in Hayward, WI. 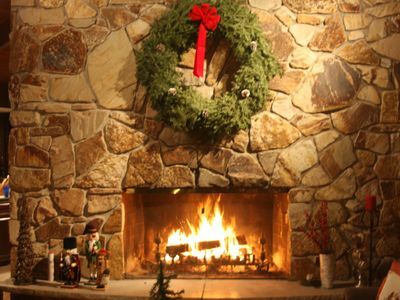 We offer year round lakeside vacations & family adventures. 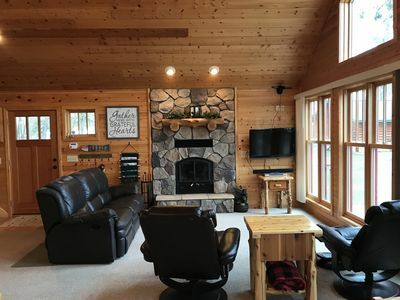 We provide vacation lodging in a cozy comfortable northwoods lakeside cabin which is perfect for your next family getaway or couples retreat. 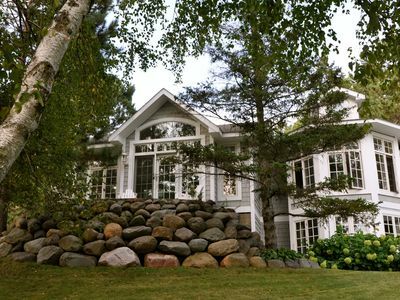 We are privately owned and are less than 3 hours from the Twin Cities metro area. 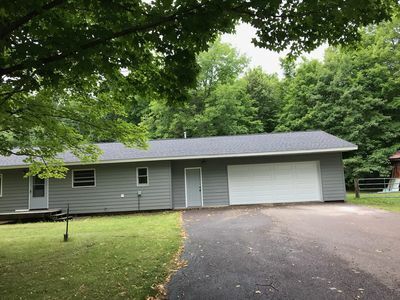 We are located just 7 miles from the town of Hayward, Wisconsin. 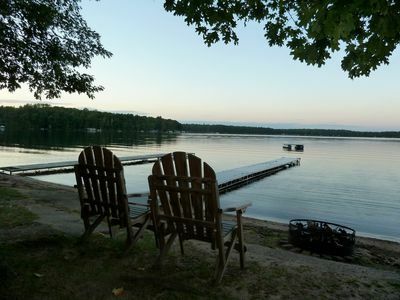 We are located on Nelson Lake which has over 3000 acres of shoreline, half of which is undeveloped and we are surrounded by national forests. The fish in the lake are always biting and include, walleye, northern, crappie, bass, bluegills & perch. Fishing off our docks is awesome & popular too. 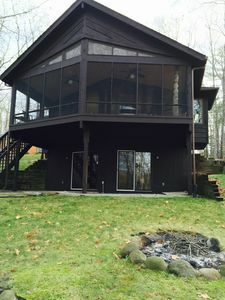 The cabin offers a fire pit, chairs, access to fish cleaning house, enclosed screen porch, WIFI, cable TV, air conditioning and is only 30 ft. from lake with a private beach! 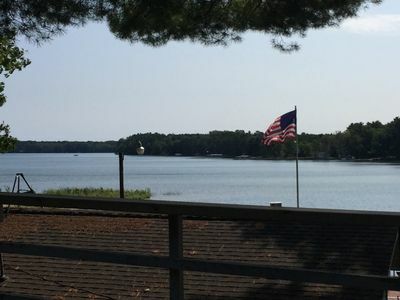 At White Manor you may enjoy many on and off water activities. 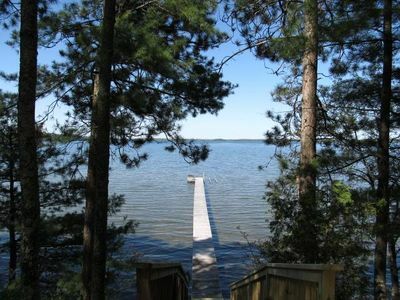 There are nearby trails for hiking, biking, snowmobiling, snowshoeing and cross country skiing. 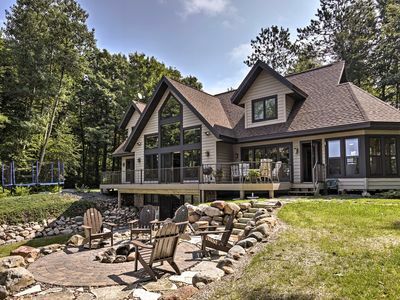 Enjoy a care-free relaxing vacation in the northwoods of Wisconsin. 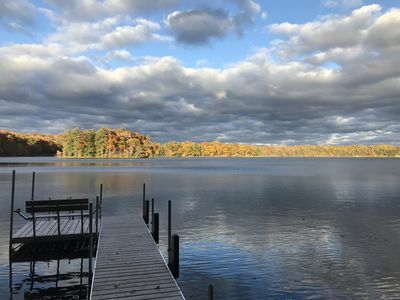 The Hayward Area of Northern Wisconsin is a wonderful place and popular vacation destination and attraction for families and individuals looking for a relaxing place with just the right amount of recreation, shopping, dining, and lodging. Wildlife Watching (we are only a few blocks from a wildlife sanctuary that houses 120 species of birds), more than any other place in the state. 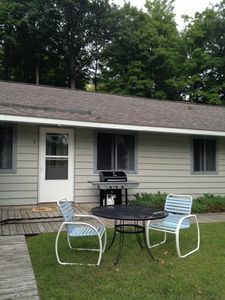 We are located 30 miles from the Brule River. People come from all over the world to fish these pristine waters. Kayak, tube or fish the Namekagon river, one of, if not the cleanest river in the northern section of the US. 2 different Annual 4th of July Fireworks Celebration on Nelson Lake, July 3rd & July 4th. 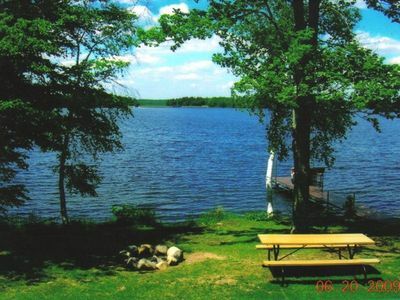 Hayward is a popular fishing destination because of the many lakes in the area. 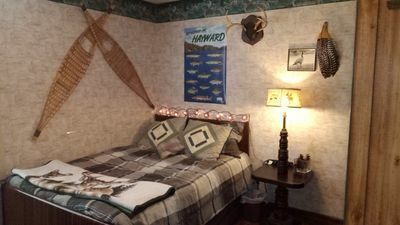 Hayward is home to the National Fresh Water Fishing Hall of Fame contained within the 200-foot (61 m) long tribute to the Musky. You can climb up into the mouth of the fish, a fiberglass sculpture, and look over the town, as well as Lake Hayward. During the Christmas season, Santa Claus can often be found looking over the town from the musky's mouth. In addition to fishing, Hayward is also a hot spot for deer hunting, golfing, cross-country skiing, snowmobiling, and road & mountain biking. Hayward is the site of numerous festivals and events. Since 1983 the Chequamegon Fat Tire Festival is the largest gathering of off-road mountain bike riders in the world, and is the largest mass start mountain bike race in the United States. The Lumberjack World Championship games include: log rolling, chopping, sawing, and chainsaw events. Hayward hosts the American Birkebeiner cross-country skiing race which are the largest races of their type in the country. A new event added in the spring of 2011, is a kayak event called the Banderdinker. Hayward/Cable is the golf capital of Wisconsin there are over thirteen golf courses to choose from, from beginners to more challenging. 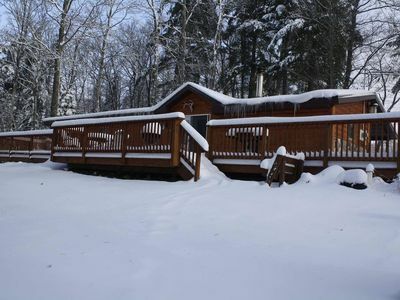 Snowmobiling & Area MAP -- Snowmobiling in Northern Wisconsin on over 350 of groomed trails. 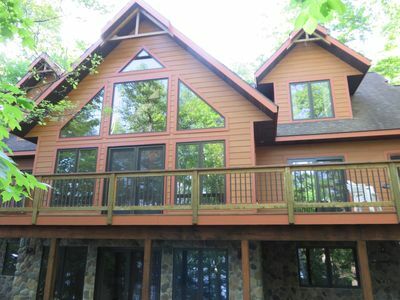 Award Winning Home On Nelson Lake ~ 400 Feet Of Private Lakeshore! 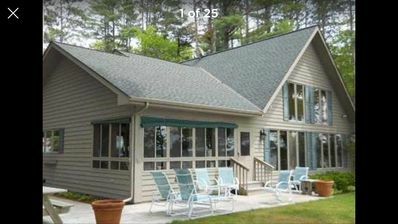 Lakefront Hayward Home w/ Fire Pit by Ski Trails! 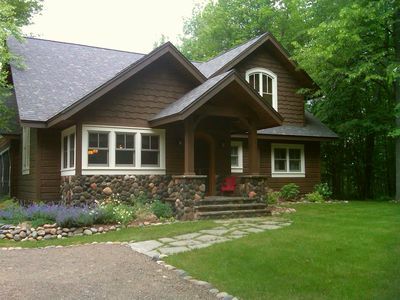 Three bedroom cabin w/garage nestled on 6 1/2 acres in The Great Northwoods. Home away from home, in progress.